FAUX PAS (fo-pa): noun. A social blunder, indiscretion, or tactless act that violates social norms, customs, or etiquette. Literally means “false step” in French. Just reading the definition is enough to make you feel embarrassed to the core, am I right? How much more if you’re the one stuck in an actual socially awkward scenario? Committing a social faux pas especially if you’re traveling in France can become some sort of a little disaster. 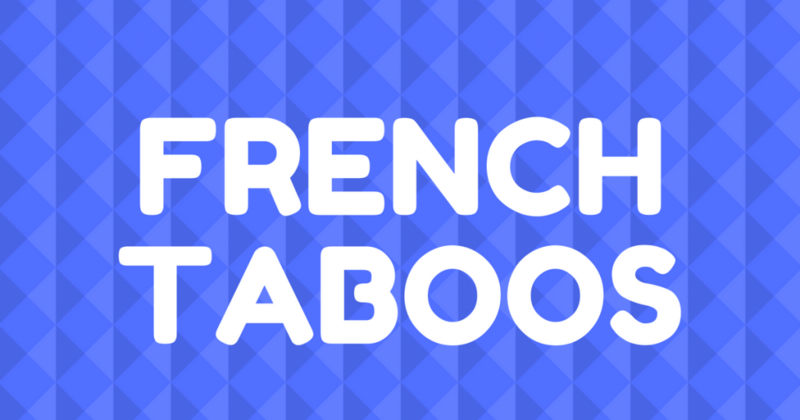 To avoid committing these types of mistakes, better arm yourself with a list of knowledge concerning French taboos. Trust me, you’d be happy to know these. Not only will you come across as a shining example of politeness and tact, you will also have a better time as well. Now, who wouldn’t want that? For starters, let’s look at what’s acceptable or not when it comes to speech. 1. If you can, it is so much more preferable to talk to a French person using their language. It doesn’t matter if you speak French badly or your pronunciation is way off. The point is to do your best. You’ll come across as respectful if you do so, instead of prattling off in your English. 2. In relation to number 1, you can use “bonjour!” to say hello. If you are truly at a loss on what to say in French, simply say “Je ne parle pas francais. En anglais, s’il vous plait.” This means, “I do not speak French. In English, please.” But the best thing is still to learn basic French phrases when traveling in France. 3. Mind your tu and vous! In English, it doesn’t matter whom you’re speaking to, there is only one kind of ‘you’ word to use. In French, however, you may end up insulting someone if you don’t choose the right you. Tu denotes a familiarity or level of closeness with the person you’re talking to. Vous, on the other hand, shows formality and respectful distance. Make sure to choose the proper you for each situation. 4. Conversation starters that may be popular in other cultures don’t sit well with the French. These include questions involving money or personal inquiries such as “what do you do for a living?”, “are you married?”, “do you have kids?” Stick to safer routes such as French culture, art, food, music, philosophy, architecture, and popular events. Just make sure you know what you are talking about. 5. Never ever flaunt your wealth during conversations. This is considered shameless and seen as bad taste. Your words will not be considered as a sign of good social status as well. 6. Use the words Madame (for females), Mademoiselle (for young females), and Monsieur (for males) to address a person. The French are generally formal which is often the reason why they’re being regarded as aloof or cold. You can still be friendly and warm without going overboard. 7. If you’re in France for business, avoid droning on and on about business talks during lunch. The French believe that there is more to life than working nonstop. Sit back, enjoy your meal, and talk about something else aside from business. There’s plenty of time for that when not in a table filled with good food. 8. Break the ice with a quick “bonjour” followed by madame, mademoiselle, or monsieur. Always say “merci” (thank you) and s’il vous plait (please). Good manners are awesome wherever you are. 9. It is considered bad manners to ask questions about political preferences. Wait for the person to open up that sort of conversation; don’t jump into it. 10. Praises and compliments about everything French (not criticisms) are rather favorable. 11. Don’t launch into lengthy talks about your opinion on French leaders and history. Just like individuals have their own sets of quirks or little personal issues that they take offense about, so do nations and different parts of the world. A harmless gesture to you might come across as incredibly rude to others. The key is to take note of these little cultural differences. When you’re talking to a French person and especially if you’re in France, always be mindful of the following reminders. Making a fist with one hand and slapping the top of it with your other hand is considered rude. The American OK sign which is made by forming a circle using the thumb and index finger while the rest of the fingers are straight, can mean “zero” or “worthless”. Avoid it to avoid getting misinterpreted. 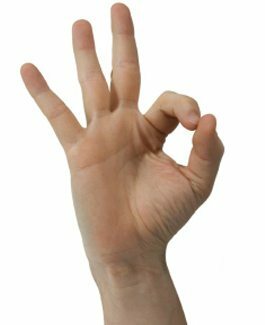 The French OK sign is the thumbs up sign. Nope this is not A-Okay at all. 3. Shaking hands is for formal transactions and acquaintances. If you’re greeting someone familiar to you, you’re better off greeting the person with a “la bise” or kiss on the cheek. 4. Do not give a present of red carnations. This flower represents bad will in France. 5. Chrysanthemums are not great as gifts either. Mums are usually reserved for mourning. 6. Holding an umbrella open indoors may be considered as bad luck. 7. In other cultures, it is perfectly okay to bring wine to someone’s house when you’re invited for dinner. But in old France custom, some people might consider this as an insult that the host could not provide the guests with good wine. Unless you’re quite familiar with the hosts and you’re bringing a good wine that you would like them to try. 8. Presenting red roses to your hostess can be thought of as inappropriate behavior. Red roses mean an expression of love. Avoid giving it to casual or professional acquaintances as well. Unless, you do mean to woo the person. 9. Bring a present when visiting your friends’ or relatives’ homes. Flowers are good (except for those mentioned above), and are usually given in odd numbers except thirteen which means bad luck. 10. Always dress well when stepping out in public. It would help if you don’t dress up like a fashion terrorist. 11. It is considered respectful for a man to stand up or show the inclination to do so when a superior enters the room or joins the group. 12. Snapping your fingers is considered offensive. 13. Chewing gum in public is a no-no and could come across as vulgar. 14. When pointing to a certain direction, use your whole hand to do so. Do not use your index finger to point. 15. Do not sit with your legs spread apart. The French consider this impolite. Of course, this is one topic that calls for a long list. Dining is an important part of French culture. Avoid social gaffes and take not of these tips. When in cafés, never ever complain about how long your order is taking. Part of the whole experience is enjoying yourselves and relaxing. This is not the place to rush. Do not order one dish only when you’re dining in a restaurant. Soft drinks are not to be drunk with a good meal. 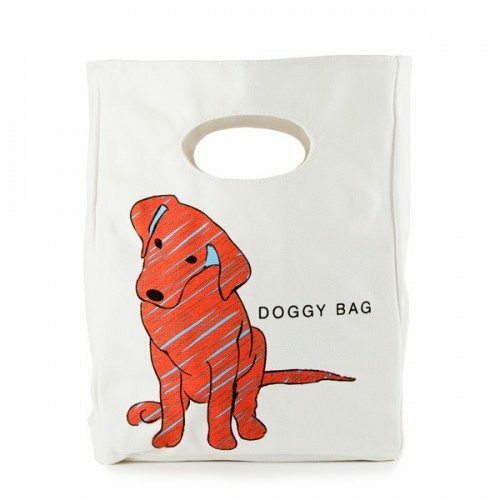 Don’t ask for a doggy bag. 5. Parisian cafés do not add ice on their drinks. Do not expect or demand for any. 6. Wait for the host or hostess to say “bon appetit!” before you start to dig in on your food. 7. Place your table napkin on your lap immediately when you are seated. 8. Eat slowly. Do not inhale all your food in one go. 9. Make eye contact as you say “santé” to the other people in the table. It literally means that you are wishing them good health and is deemed polite. 10. Avoid leaving food on your plate. This means you did not enjoy the quality of the food, or it suggests that the host does not know how to serve proper potions. 11. Don’t serve yourself wine first. As a proper courtesy to everyone else in the table, ask them if they want wine before you pour some for yourself. 12. If the wine has just been opened, pour a little bit into your own glass first so that the little pieces of cork don’t end up in someone else’s glass. 13. Avoid putting a piece of bread in your plate. Instead, place it on the table right beside your plate. 14. Only bite directly into a piece of bread if there is something spread on top of it. Otherwise, break it into a small piece before you eat it. 15. Unless a certain type of food needs to be dealt by hand, touching food with your fingers is strictly limited at the dinner table. 16. Don’t place your elbows on top of the table. 17. Keep your hands on the table not under it. 18. Refrain from crossing your knife and fork on top of your plate. This signifies that you haven’t eaten enough. 19. Don’t place the loaf of bread upside down. This is considered bad luck. So there you go. Don’t you feel more polite already? Re-read this list time and again to remind you how not to act in France. But wait…before you jump on that plane to Paris, make sure you grab a copy of the best phrasebook available in the market. Click the photo below.